Let the trumpets sound to rouse the warriors from their slumber. Let the drums of battle bring courage to our hearts. The battle comes. The time is now. Come bring your banner to the battlefield and join us, the time for our battle has arrived. The pathogen sees us and it is evaluating our threat. It has sent its minion skirmishers out to test our mettle, and it has felt our resolve. We will not waver, we will stand and fight with steadfast determination because we fight for your children. And when this battle day is finished, the minions of the pathogen will lie at our feet and your banners will fly from the citadel of establishment mental health. This is the battle to reclaim mental health as your ally, for you and your children. The citadel of establishment mental health belongs to you, not to the pathogen. Take it back. I will stand in the center of this battlefield. The pathogen will attack me with savage viciousness that will seek not only to defeat the content of what I say, but will seek to destroy me personally. You’ve seen already how the pathogen weaves personal attacks into the assaults from its minions. Distortions and innuendo layered into personal attacks. And the pathogen is not constrained by any limits imposed by truth or accuracy or reality. You know this better than any, because you have personally felt the savage fury of its venom, its lies, and its distorted falsehoods. It will now bring this to me. It will attack me, not just the content of what I say. It will attack me personally. It will seek to destroy me at a personal level. It will search every crevice of my life, my family, my career, seeking some vulnerability that it can exploit to destroy me. Because I threaten to expose it. I am ready. I will stand and fight. And we will prevail because we fight for your children. I will not abandon you, I will not abandon your children. I will not waver. I will stand in the center of this battlefield and fight against this pathology with ferocity and steadfast resolve, but with different weapons than those used by the pathogen. We fight with weapons forged in truth and knowledge and love. We are unstoppable. We fight for your children. Let the drums of battle call forth our warriors. Steel your hearts and set fast your will. Wake your neighbors from their slumber and call them to us. The battle for your children has arrived. The minion of Mercer was right about only one thing, the battlefield of Gardnerian PAS is a swamp. When we fight on that battlefield the ground gives way beneath our feet, the marsh clings to our boots and we stumble and fall. We cannot move and maneuver, we become bogged down, and the pathogen devastates our forces with archers from afar. This is not the battlefield on which we want to fight. No. There will be no Gardnerian PAS battle flag on this battlefield. We fight under the banner of Foundations. If someone brings the banner of Gardnerian PAS onto this battlefield, I will attack you myself. Foundations provides us with the solid bedrock of established psychological principles and constructs on which we can firmly plant our feet. With Foundations, WE hold the high ground. You saw how I dealt with the minion of Mercer. Immediately we are free from the swamp and have claimed the high ground. Immediately ALL of the arguments against the Gardnerian PAS model are made irrelevant – completely and totally irrelevant. The Pathogen: How do you diagnose…? Dr. Childress: The three diagnostic indicators in the child’s symptom display and the entire puzzle that forms the picture of three cats in the garden. The Pathogen: But what about authentic child abuse? Stimulus Control: Furthermore, in authentic parent-child conflict the child’s behavior is under the stimulus control of the parent’s behavior. You saw me weave these responses. There are more. I’m ready. The Pathogen: Peer-reviewed research – show us the peer-reviewed research. Dr. Childress: See Chapter 11 of Foundations or see my first response to Mercer. What do you want peer-reviewed research about? The existence of personality disorders? The existence of attachment trauma? The existence of family systems theory? What? What – specifically – do you want peer reviewed research about? The Pathogen: Where is the peer-reviewed research about Dr. Childress’ model? Dr. Childress: It’s NOT my model. It’s Aaron Beck, it’s Theodore Millon, it’s John Bowlby and Mary Ainsworth. It’s Salvador Minuchin. It’s Jay Haley. It’s Marsha Linehan and Otto Kernberg. It is not me. The attachment-based description of the pathology comes from the preeminent figures in mental heath. If you have a problem with the model, take it up with them – because they’re the ones that said it, not me. It’s not me. It’s not Dr. Childress. It’s them. It is the preeminent figures in mental health who have said this. In his account of the Gallic wars, Julius Caesar said that you will win the battle when you choose where and when to fight. We fight this battle on the battlefield of our choosing. We fight on the battlefield of personality disorder pathology, attachment-trauma pathology, and family systems pathology. We fight this battle on the solid ground of established theoretical Foundations. We are NOT asking mental health to accept anything. Because the principles and constructs on which our Foundations are grounded are ALREADY firmly established and accepted constructs within mental health. Personality disorder pathology is already accepted, with an extensive peer-reviewed literature base. Attachment trauma pathology is already accepted, with an extensive peer-reviewed literature base. There is NOTHING for establishment mental health to accept or reject. It has already been accepted. This is key for you to understand. For too long you have been forced by the Gardnerian PAS model to fight for a “new syndrome” to be accepted in mental health. No. This stops. The pathology is NOT a “new syndrome.” It is a manifestation of well-established and well-defined forms of already accepted psychopathology. “It is the addition of the splitting pathology of a narcissistic/borderline parent (as defined by the American Psychiatric Association) to a cross-generational coalition of the child with one parent against the other parent (as defined by the preeminent family systems theorists, Jay Haley and Salvador Minuchin). There. Done. That’s what the pathology is. If someone wants a more in-depth explanation, tell them to talk to me and I will provide it (or have them read Foundations). If they ask for “peer-reviewed” literature, tell them to talk to me and I’ll provide it, or refer them to my first response to Mercer, (or have them read Foundations – Chapter 11 on professional competence). If they ask for the DSM-5 diagnosis of the family pathology it’s on pages 663-666 of the DSM-5; Borderline Personality Disorder, it’s on pages 669-672 of the DSM-5; Narcissistic Personality Disorder, and it’s on page 719 of the DSM-5; Child Psychological Abuse, Confirmed. See. The pathology is already in the DSM-5. There is nothing to accept or reject. ALL we need is professional competence. That’s it. That’s all we are seeking – and that’s also what we are requiring. Under a Gardnerian PAS banner you must seek to have the citadel accept a “new syndrome” within mental health. No. This belief that we need to have something accepted by establishment mental health (by the DSM diagnostic system) is deeply embedded into the very fabric of your psyche. ROOT IT OUT. Under the battle flag of Foundations, there is NOTHING that needs to be accepted by establishment mental health – because ALL of the constructs and principles on which Foundations are grounded are ALREADY well-accepted, well-defined, and well-established psychological principles and constructs. We are not asking establishment mental health to accept anything. They have already accepted everything. What we are asking them for – we are REQUIRING of them – is to enforce their existing Standards for professional competence. We have established ourselves on the high ground in this battle. The high ground is ours. We have claimed the battle flags of the APA Ethics Code. These battle flags of the APA ethics code are ours. These are the battle flags you will carry in your assault on the citadel of establishment mental health. We hold the high ground. We are not asking them to accept anything. We are requiring that they live up to their established Standards of practice. We are seeking – we are requiring – professional competence in the assessment, diagnosis, and treatment of existing and established forms of personality disorder pathology, family systems pathology, and attachment trauma pathology. V995.51 Child Psychological Abuse Confirmed. The pathology of “parental alienation” is already in the DSM-5. There is nothing for the DSM-5 to accept or reject. The DSM-5 diagnosis for the pathology of an attachment-based model of “parental alienation” is V995.51 Child Psychological Abuse, Confirmed – p. 719. All we are seeking is professional competence – we are demanding professional competence. In the coming days I will engage the pathogen in the center of the battlefield. Once the battle is engaged, it will attack me with great viciousness and it will seek to destroy me personally – because I am a threat. That an attachment-based model represents a “new theory of Dr. Childress” – because this worked with Gardnerian PAS. It will throw out the buzz words of “peer-reviewed” – because this worked with Gardnerian PAS. It will claim that we’re sending children back to be with an abusive rejected parent – because this worked with Gardnerian PAS. I will stand, square in the middle of this battlefield, and I will engage the fight. Your job is to storm the citadel of establishment mental health. You are not asking them to accept anything – you are demanding professional competence in assessing, diagnosing, and treating established forms of accepted psychopathology; personality disorder pathology, family systems pathology, attachment-trauma pathology. Make them argue that professional ignorance and incompetence are acceptable standards of practice. Make them argue that narcissistic and borderline personalities don’t exist. Make them argue that inducing severe developmental, personality disorder, and psychotic psychiatric pathology in a child is acceptable, that this is NOT a form of psychological child abuse. Make them argue this. These are untenable positions for establishment mental health to take. Make them take these positions or relent to your demands for professional competence in the assessment, diagnosis, and treatment of this pathology. The pathology exists – we want them to acknowledge that fact. The existence of cats (personality disorder pathology) does not nullify the existence of dogs (authentic child abuse); and not all animals are dogs. Cats exist. We just want them to acknowledge that cats (personality disorder pathology) exists and adversely affects family functioning following a divorce. That’s the structure of our position. Make them acknowledge that personality disorder pathology exists and make them put the acknowledgement into their position statement on “parental alienation” pathology. Break the pathogen’s veil of concealment. Demand that the complexity of this pathology requires specialized professional knowledge and expertise to competently assess, diagnose, and treat. Make them argue that professional ignorance and incompetence are acceptable standards of practice. They won’t be able to take this position. Demand that your children and families be acknowledged as a “special population” requiring specialized professional knowledge and expertise to competently assess, diagnose, and treat. Storm the citadel of establishment mental health carrying the banner of Standard 2.01 of their own ethics code, the Ethical Principles of Psychologists and Code of Conduct that REQUIRES professional competence. Make them either renunciate their own ethics code or else live up to their ethical principles and code of conduct. Storm the citadel of establishment mental health carrying the banner of Standard 9.01 that requires assessment “sufficient to subtantiate” “the opinions contained in their recommendations, reports and diagnostic or evaluative statements, including forensic testimony.” Make them live up to their ethical principles and established code of conduct. This pathology is not some “new form of pathology.” It is the manifestation of narcissistic and borderline personalty pathology (as fully described in Foundations). Every single mental health professional who is assessing, diagnosing, and treating this pathology MUST be professionally competent in the assessment, diagnosis, and treatment of narcissistic and borderline personality pathology as it is expressed in family relationships. Accept nothing less. Demand more. This pathology is a manifestation of attachment trauma from the childhood of the narcissistic/borderline parent into the current family relationships, mediated by the personality disorder pathology that is itself a product of this childhood trauma. Every single mental health professional who is assessing, diagnosing, and treating this pathology MUST be professionally competent in the assessment, diagnosis, and treatment of attachment trauma as manfested trans-generationally (through “schema” patterns; Beck et al., 2004). Expect nothing less. And demand more. This pathology is a manifestation of the child’s triangulation into the spousal conflict through the formation of a cross-generational coalition with the allied parent against the targeted parent (a “perverse triangle”; Haley, 1977). Every single mental health professional who is assessing, diagnosing, and treating this form of family pathology MUST be professionally competent in family systems theory and family therapy. Expect nothing less. 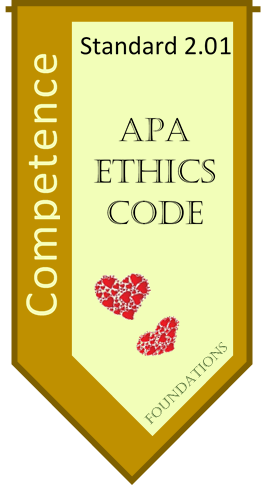 Demand professional competence consistent with Standard 2.01 of the Ethical Principles of Psychologists and Code of Conduct of the American Psychological Association. Storm the citadel of establishment mental health. Take the citadel of establishment mental health – and plant your banners and those for your children upon the walls and turrets of the citadel. Reclaim establishment mental health as your ally against this family pathology and the psychological abuse of the child. 1.) Acknowledges the pathology exists, using whatever terminology they want. 2.) Identifies the children and families experiencing this type of pathology as representing a “special population” requiring specialized professional knowledge and expertise to competently assess, diagnose, and treat. The moment you take the citadel, the attacks on me will cease and the pathogen will flee from the field of battle to seek the dark crevices of the world in which to hide. Like great Ajax before the walls of Troy, I’ve seen Howie take on the pathogen over and over again with truth and power. Kay, like wise Ulysses, seeks to lead with wisdom and eloquence. Leadership will emerge from within your ranks. Follow them. Wake up your allies who are lulled into the slumber of their victimization. You are victims no more. The time for battle has come. The time to recover your children is now. Google is wonderful. The American Psychological Association has a website. Each state has a professional psychological association. Many large cities have professional psychological associations. Look them up. Who’s in charge? What’s their address? Alert your colleagues. Make the citadel aware of you. Demand professional competence. Be kind, but be relentless. If you approach with anger you will trigger a defensive response. You will trigger the release of brain chemicals in the listener which will take them into lower, more primitive brain systems for fight or flight, and which will shut off higher order cognitive processing and openness. When we feel threatened we move into lower brain systems and essentially stop thinking. We want others to think. Be kind, be relentless but be kind. When you interact with others you represent all targeted parents and all of your supporters. Represent us well. Kind is not weak. Kind is strong. Gandhi was an extraordinarily tough adversary. But he fought without anger. He fought with unrelenting love and kindness. Our goal is to end division and argument. Our goal is to bring both sides together. Both sides are “equally valid poles” in the dialogue. Many of those who are concerned about Gardnerian PAS are reasonable people who have valid concerns about discounting a child’s report of “abuse” and about overriding a child’s expressed reluctance to be with a parent. Recognize that dogs exist. And in your reasonableness and gentle understanding of their legitimate concerns, help them realize that cats (personality disorders) also exist. We want to protect 100% of the children 100% of the time from ALL forms of child abuse. Agree that Gardnerian PAS was an inadequate model. Come together in a middle ground of agreement. Dogs exist and cats exist. The existence of one does not preclude the existence of the other. Right now we’re talking about cats. For the minions of the pathogen, offer them an opportunity to understand. They may actually be reasonable people with valid concerns. Your kindness and reasonableness will expose their motives. If they respond with reason, offer dialogue. If they expose their narcissistic and borderline personalities, move on. The hallmark of the narcissistic/borderline personality is the absence of empathy. If there is no empathy, then there is pathology. Avoid the splitting pathology of demonizing the other side. There are no sides. We are all on the same side of protecting children’s healthy emotional and psychological development. Cats exist and dogs exist. Lets work together to identify what animals are cats and what animals are dogs, 100% of the time. It can be done. My goal is to bring an end to the pathology of “parental alienation” by Christmas of 2016. Join me in this goal. It can be accomplished because we are merely seeking professional competence in the assessment, diagnosis, and treatment of already accepted and already established forms of pathology. The time is now. The battle to reclaim mental health as your ally has arrived. Myself and others a private discussion group sharing ideas on how to reach out. If you could like to join, please just email me or contact me on facebook. Dr. Childress, I am due for a child contact hearing next month. In Poland the reformulation isn’t available. In fact, Poland is a haven for PAD, the Hague Convention is scoffed, and the ECtHR reveals a history of destroyed lives because Polish court hides behind the broken bond and undue stress for the best interest doctrine. It’s sickening that in the 21st century that a uterus has more rights than a man in Poland. Men are disposable – that’s the message here. I refuse to accept this. Thank you for the reformulation. Many lives will be saved in Poland once I find specialist in these areas of assessment, diagnosis, treatment, and intervention. Fortunately I have a realistic judge and have a chance to become the Trojan horse for others within our special population that’s victimized by pathogenic parenting trauma. I will keep you posted. THANK YOU DR. CHILDRESS for this post and the many others you share. The one vs. Dr. Mercer is one I’m sure that is similar to many others that try to argue your points and reading those has helped me. THIS POST feels like it puts EVERYTHING from start to finish in a summary with references that I, as a non-proffessional (I am a parent), can understand and follow. I love also how you include that the way to do this is to do it with KINDNESS but be RELENTLESS. Kindness is important to me and it is sometimes difficult to do when you are met with ignorance of proffessionals that will not listen even when they argue against EXISTING established and accepted constructs within mental health that you explain in full detail (like you tried to do with Dr. Mercer). In addition to this blog and the information on your web site I appreciate that you wrote a book (“Foundations”) for us so that we don’t have to enter the battlegrounds without weapons we don’t know how to use: We have the DSM-5 and American Psychological Association and now we know how to use them to reach our goal. As you said, “Our goal is to end division and argument. Our goal is to bring both sides together” “to bring an end to the pathology of “parental alienation” by Christmas of 2016”. We have an army of experts and non-experts that alrrady entered the battlegrounds but I believe your leadership in bringing us ALL to the battlegrounds AT THE SAME TIME with weapons we ALL can now possess and use will help us get through and end this battle with OUR CHILDREN’S BEST INTERESTS TRULY at HEART! Hallelujah Dr. Childress! This post is very timely as we will be going to court, once again, to hopefully prove that the clinicians who have been court ordered to our familie’s case are both incompetent and further entrenching the alienating behaviors of the Narc/Borderline/ Antisocial parent! I am in the middle of your “Foundations” book and can’t put it down! The best way to think of the pathogen is as a computer virus infecting the attachment system. The brain is an information processing system – like a computer. The attachment system is the neurologically embedded brain system for handling all aspects of love and bonding. The attachment system is like a “software program” in the brain that is managing all the aspects of love and bonding that occur in close emotional relationships (parent-child relationships and spousal relationships). The patterns of attachment bonding (the “source code” of the attachment programs) – called internal working models of attachment (Bowlby), or schemas (Beck) – are formed during childhood and are then used throughout the lifespan to regulate close emotional relationships; the parent-child relationship and the spousal relationship. In other words, the “source code” for the “software program” of the attachment system is “downloaded” from the attachment system of the parents to the attachment system of the child during childhood. This process is called the trans-generational transmission of attachment patterns. So far, the research has documented this trans-generational transmission of attachment patterns across three generations; from the grandparents, to the parents, to the child. And the parent-child relationship qualities involved in this transmission of attachment “source code” from parents to their children have also been identified. Distortions in the “source code” of the parent’s attachment system (i.e., attachment trauma experienced by the parent-as-a-child) will then subsequently be downloaded to the children’s attachment system, creating distortions to the children’s love and bonding. This is called the trans-generational transmission of attachment trauma. This attachment trauma represents an organized constellation of distorted “information structures” in the attachment system of the parent. This is the computer virus in the attachment system. This is the pathogen. The pathogen is an organized set of broken and damaged information structures in the attachment system of the narcissistic/borderline parent that were created by childhood attachment trauma. These distorted information structures in the attachment system of the parent are now being transmitted to the attachment system of the child through the distorted parenting practices of the narcissistic/borderline parent that are created by the organized constellation of distorted information structures in the parent’s attachment system. In other words, the “computer virus” of attachment trauma that is contained in the parent’s attachment system (i.e., the brain’s “software program” governing all aspects of close emotional love and bonding) is being “downloaded” to the child’s attachment system through the distorted relationship exchanges between the parent and child. The pathogen is a “computer virus” in the attachment system of the parent, created by this parent’s childhood attachment trauma, that is now being transmitted to the child’s attachment system through distorted parenting practices (that are the product of the distorted information structures in the parent’s attachment system). The “computer virus” of this attachment system pathogen is causing the child’s attachment system to “crash” relative to the child’s relationship with the normal-range and affectionally available targeted parent. So how do we deal with a computer virus? We first isolate the computer from the source of the computer virus. It is pointless to try to clean a computer virus from a computer while the computer is being continually reinfected. No sooner do we clean the computer virus than the computer becomes reinfected again. Once we isolate the computer from the source of the computer virus, we then extract the viral code from the infected software of the computer. Dorcy Pruter has an effective protocol that can extract the viral code in a matter of days and restore the normal-range functioning of the child’s attachment system. And before we re-expose the computer to the source of the computer virus, we simply install some anti-viral software to protect the computer from being reinfected. This is the recovery stabilization therapy. That’s exactly what we need to do with this pathogen, with this “computer virus” in the attachment system of the parent (i.e., the organized constellation of distortions to the information structures of the parent’s attachment system). We need to first protectively separate the child from the source of the “viral infection” (i.e., from the pathogenic parenting of the narcissistic/borderline parent). We then need to clean the pathogen from the child’s attachment system and restore the child’s attachment system to normal-range functioning (the High Road protocol). Finally, we need to install some anti-viral software prior to reintroducing the pathology of the narcissistic/borderline parent in order to prevent reinfection of the child’s attachment system with the attachment-trauma pathology of the narcissistic/borderline parent (follow-up recovery stabilization therapy). Right now, we’re at the stage of needing to enact the protective separation. To do this requires the cooperation of the court. To obtain the cooperation of the court requires the mental health system as your ally. To acquire the mental health system as your ally we need a paradigm shift from a Gardnerian PAS definition of the pathology to a more theoretically grounded attachment-based formulation for the pathology. The moment we achieve the paradigm shift, the solution becomes available immediately. I’m told that I’m the Pathogen, by the alienating mother, (I’m the all-bad parent) and that I deserve to be alienated – “is it any wonder the child doesn’t want to talk to you they way you have behaved..” for not staying with the Pathogen and refusing to be controlled and betraying the marriage vows and being selfish and the kids do not deserve or want to be in a relationship with me.. how do I alone defeat the Pathogen? How do I prevent the doubts that the Pathogen is right and all powerful? A very characteristic indicator of the pathology is the assertion by the child (and by the allied narcissistic/borderline parent) that the targeted parent “deserves” to be rejected. The origins of this belief and statement by the child and allied narcissistic/borderline parent is in the trauma reenactment pathology. In the mind of the narcissistic/borderline parent, it is their own parent who “deserves” to be rejected by “the child” – by the narcissistic/borderline parent as a child – because their own parent didn’t love them as a child. In the mind of the narcissistic/borderline parent, the targeted parent is equivalent to the “abusive parent” from their own childhood. It is a false narrative. The targeted parent is not abusive, the child is not a victim, and the narcissistic/borderline parent is not protective. It is a delusion. And this delusional level of pathology is being transferred to the child through the severely aberrant and distorted parenting practices of the narcissistic/borderline parent. It is a shared delusional belief. This diagnosis used to be in the DSM-IV TR and it’s still in the international ICD diagnostic system as F24 (Google ICD-10 Shared Psychotic Disorder: “Clinical Information – A condition in which closely related persons, usually in the same family, share the same delusions. A disorder in which a delusion develops in an individual in the context of close relationship with another person who already has that established delusion, most likely as the consequence of schizophrenia or delusional disorder.” In this case, the narcissistic/borderline parent has a delusional disorder – i.e., the reenactment of childhood attachment trauma into the current family relationships. This type of pathology requires a fairly high level of professional expertise in personality disorder pathology, family systems pathology, and attachment trauma pathology (including the delusional reenactment of childhood attachment trauma) to competently assess, diagnose, and treat. Your families represent a “special population” requiring specialized professional knowledge and expertise to competently assess, diagnose, and treat. In truth, the allegations of the narcissistic/borderline parent are actually projections (a psychological process in which we “project” our own motives onto others). In truth, it is the narcissistic/borderline parent who is the psychologically abusive parent of the child (inducing severe pathology in the child). In truth, the child is the victim of the narcissistic/borderline parent’s psychopathology. In truth, the targeted parent is actually the authentically protective parent, trying to rescue and protect the child from the psychopathology of the narcissistic/borderline parent. It’s a crazy Alice in Wonderland world where up-is-down and night-is-day. The targeted parent does NOT “deserve” to be rejected. 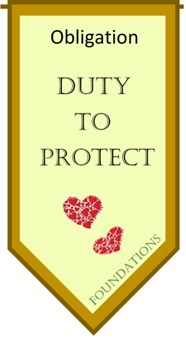 Instead, it’s the child who deserves to be protected from the psychopathology – from the psychological child abuse – inflicted on the child by the pathology of the narcissistic/borderline parent – from the role-reversal relationship in which the child is used as a regulatory object to stabilize the pathology of the narcissistic/borderline parent. Professional mental health needs to be able to climb out of the rabbit hole of false narratives and delusional reenactments of childhood trauma, and return to the world of sanity and actual reality. That’s our goal. As long as so many mental health professionals remain little more than hookah smoking caterpillars in the false reenactment drama – the delusion – of the narcissistic/borderline parent, we’ll be stuck in Wonderland.